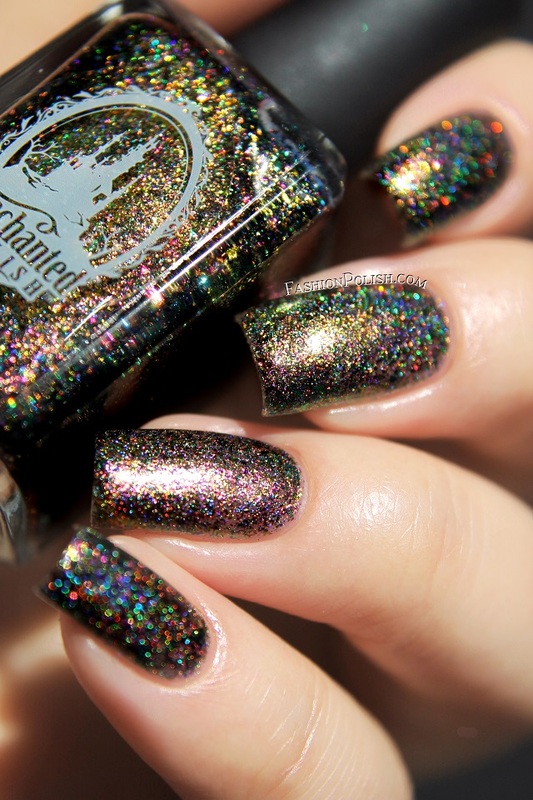 This collection is a set of 6 multichrome flakies with a strong linear holo effect. They're all pretty heavy of particles so you can build them up to full opacity. 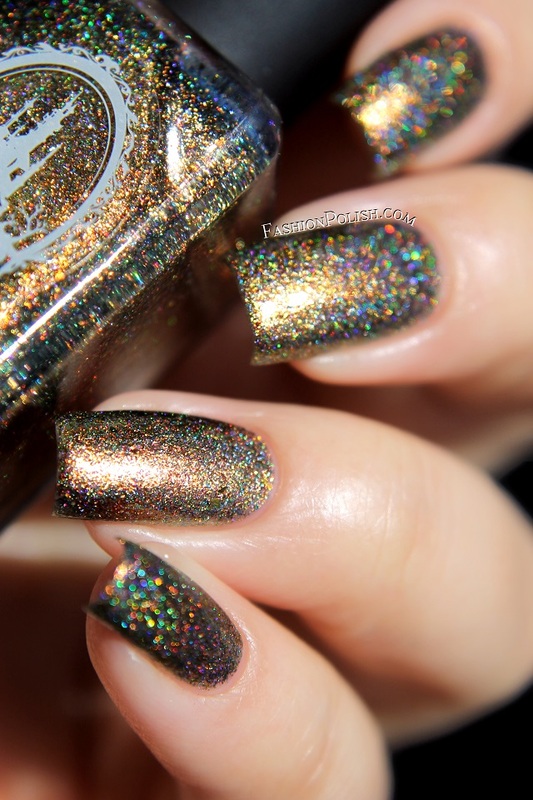 I used 3 thin coats in all of my swatches but I could have stopped at 2 with, I'd say, a 90% coverage end result. 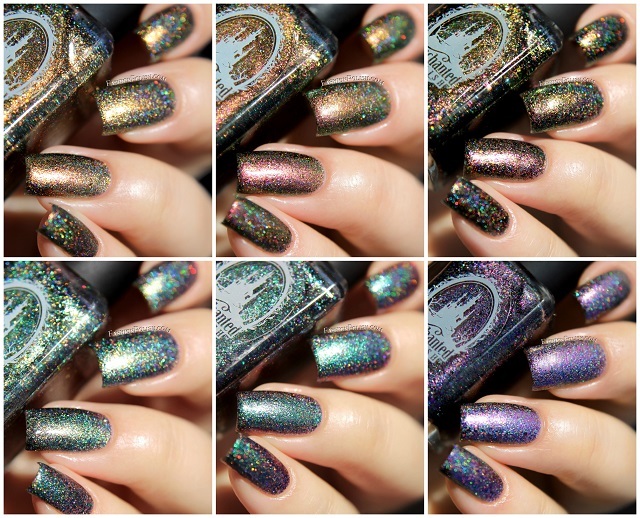 First picture in direct sunlight and second in the shade for each swatch. 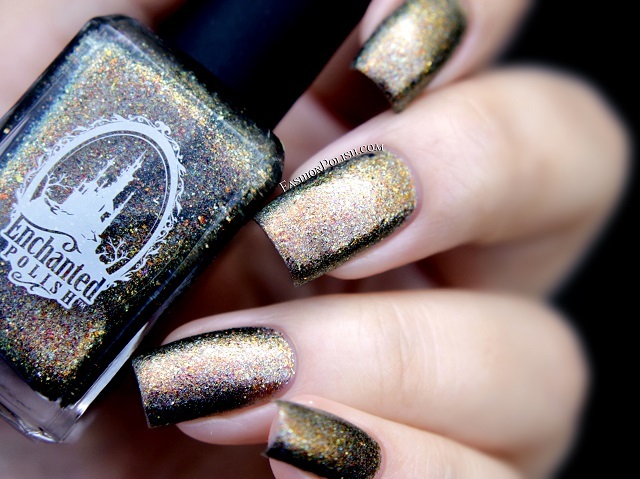 Pegasus is a mix of copper-antique gold-green color shifting flakies and strong linear holo. 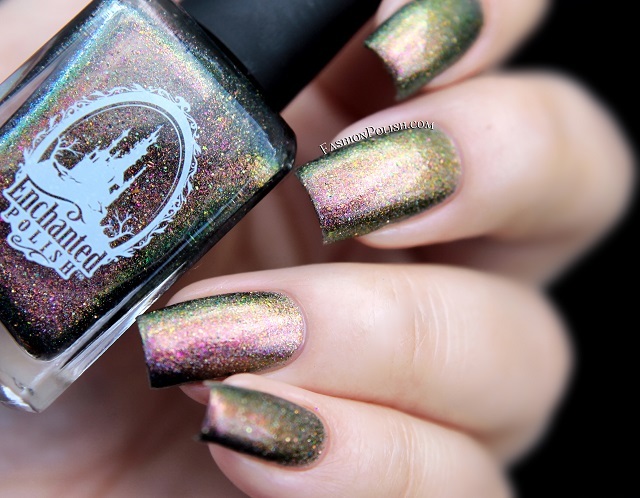 Dragon is a mix of magenta-copper-gold-green color shifting flakies and strong linear holo. 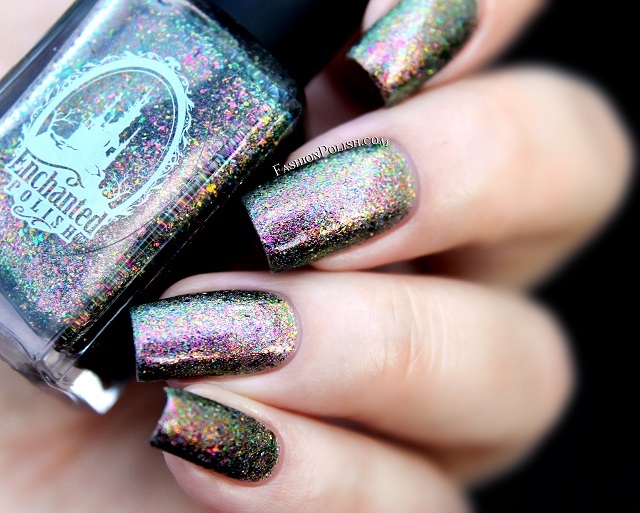 Unicorn is a mix of multi color shifting flakies and strong linear holo. 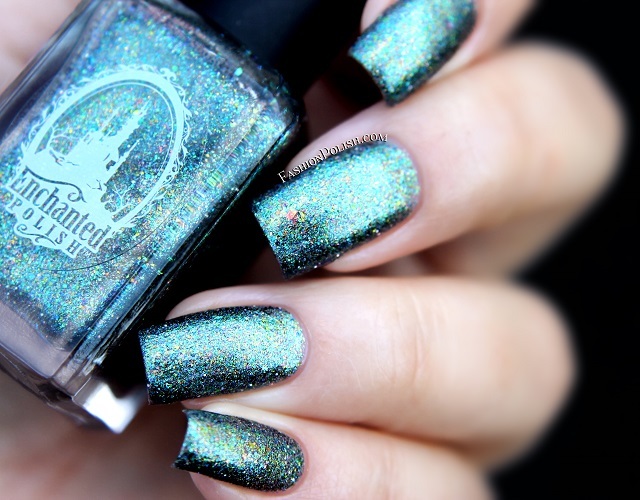 Mermaid is a mix of gold-green-turquoise-blue color shifting flakies and strong linear holo. 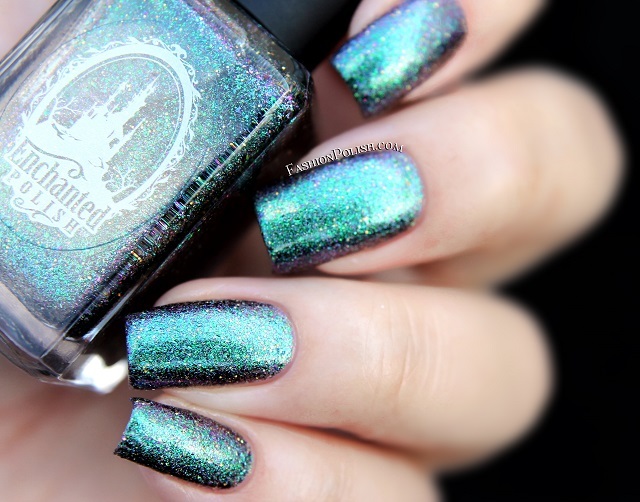 Siren is a mix of green-blue-purple color shifting flakies and strong linear holo. 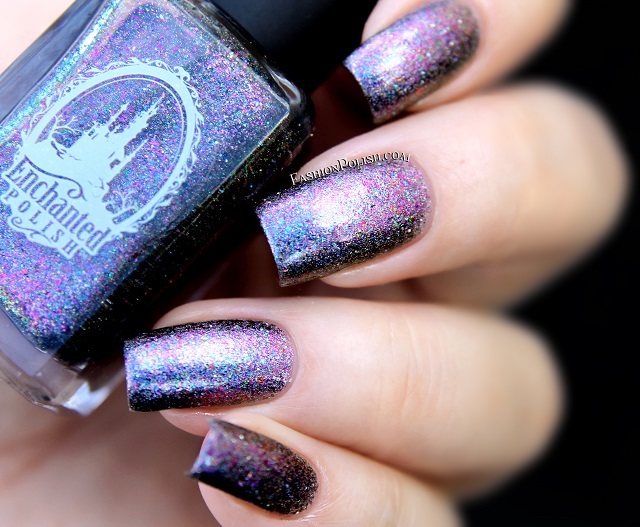 Fairy is a mix of blue-purple color shifting flakies and strong linear holo. Aren't these amazing? I loooove how saturated they look in the sun but I think I especially enjoy them in the shade where they reveal their complexity.